Raphael (“Ralph”) Valle … R.I.P. It has just been brought to our attention that Ralph Valle passed away on September 6 this year “after a long illness”, which we can assume to have been his prostate cancer. Ralph was an early and vocal member of the Us TOO prostate cancer community, and the founder of one of the first prostate cancer support groups in the Phoenix, AZ, area — back in the 1990s, after his own diagnosis. For most of the past 20+ years, Ralph had been a resource of enormous knowledge to the members of his own support group as well as to others around America and the world through his early participation in online systems like the Prostate Problems Mailing List. Ralph was a passionate believer in screening for risk of prostate cancer. He and your sitemaster didn’t always agree about everything, but Ralph was absolutely committed to helping his fellow prostate cancer patients as best he could. He was one of the co-founders of the National Prostate Cancer Coalition (now ZERO — The End of Prostate Cancer) at a meeting in Las Colinas, Texas, back in 1996, along with your sitemaster. 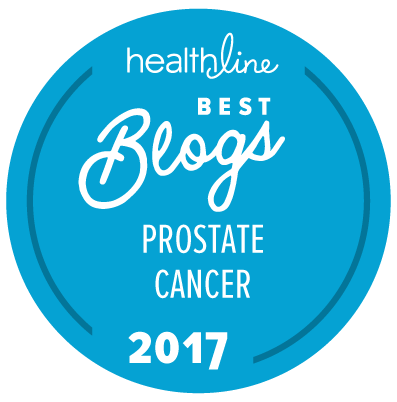 Ralph was also one of the earliest winners of the Harry Pinchot Award, given each year by the Prostate Cancer Research Institute at their annual conference in Los Angeles. He will be missed — by his family and by his many friends in the prostate cancer community. An obituary to Ralph can be found on line. Ralph’s name is right up there amongst the most influential and knowledgeable prostate cancer patient advocates. His contribution to improving prostate cancer patient care is immeasurable and remains his legacy. May Ralph’s memory be a blessing to his family and to all of us who follow his lead. NOT related to his prostate cancer. I have been in touch with Ralph for more than 10 years and he has never had a recurrence of his cancer. This latest and fatal series of events was most seriously due to fluid build-up in the lungs. He was in the hospital for several weeks before released to rehab hospital and I lost track of his progress because of his declining condition. His age, general decline, edema, and perhaps other conditions combined with the pneumonic conditions.